April 24, 2019 -- Radiation oncology firm Accuray has launched its Synchrony motion tracking and correction technology for its Radixact radiation therapy system. April 24, 2019 -- Superficial radiation therapy provider Sensus Healthcare has signed an R&D agreement to collaborate with the radiation oncology department at the University of Pennsylvania (UPenn). April 23, 2019 -- Superficial radiation therapy provider Sensus Healthcare is directing attention to the results of a study that assessed the performance of its SRT-100 system for treating nonmelanoma skin cancer patients. April 22, 2019 -- The American Society of Radiologic Technologists (ASRT) has chosen the winners of its distinguished author awards, which recognize the best articles published in its journals Radiologic Technology and Radiation Therapist. April 18, 2019 -- Image-guided radiation therapy developer ViewRay has signed a distribution agreement with Minogue Medical for that company to serve as its exclusive Canadian distributor of the MRIdian system. April 17, 2019 -- The U.S. National Cancer Institute (NCI) has awarded funding of more than $95 million to NRG Oncology to continue its work as a lead protocol organization program. April 12, 2019 -- Radiotherapy positioning technology developer Qfix said that it has validated its kVue One couch top for use with radiotherapy systems from Varian Medical Systems. April 11, 2019 -- Israeli radiation therapy technology developer Alpha Tau Medical said it has received International Organization for Standardization (ISO) 13485:2016 certification. 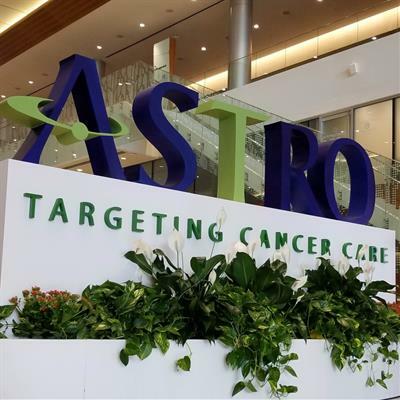 April 11, 2019 -- The American Society for Radiation Oncology (ASTRO) is applauding the introduction of the Promoting Integrity in Medicare Act of 2019, a new bill in the U.S. Congress that would eliminate the in-office exemption for four services -- including advanced imaging and radiation therapy -- from anti-self-referral provisions of the Stark law.